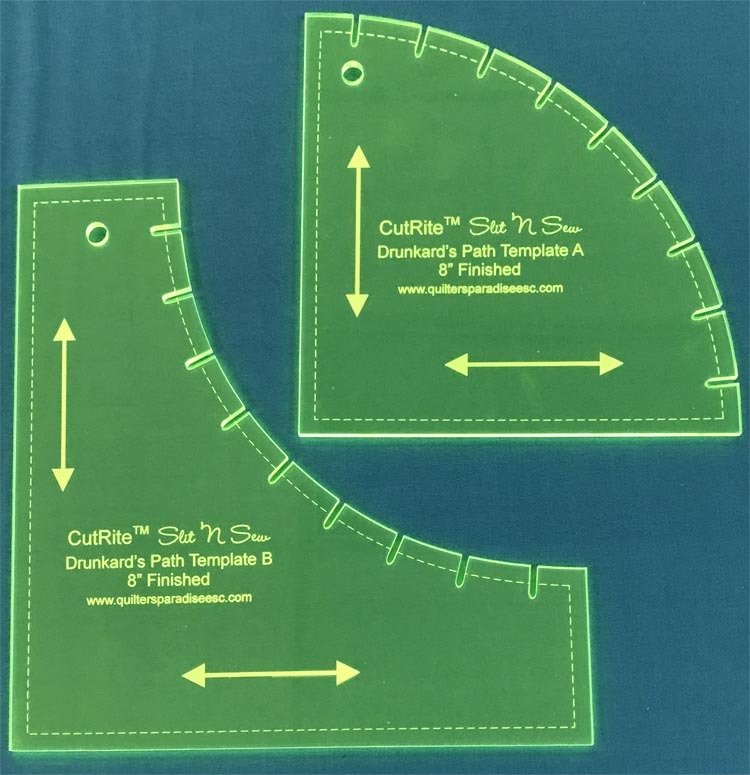 This calculator determines the number of fixed-sized pieces of fabric that may be cut from a larger piece of fabric. 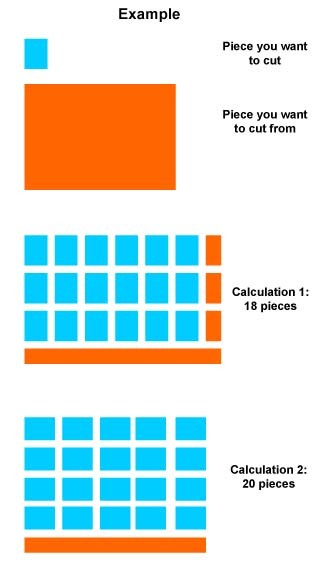 You enter the dimensions of the smaller piece that you want to cut and the dimensions of the larger piece that you want to cut the smaller pieces from. Then click the Calculate button. Two calculations are performed since the number of pieces that may be gotten may be different if the width and length are reversed (see picture below for an example). Having a problem with a calculator or have a suggestion? We want to know! that can be cut from a piece inches wide by inches long.